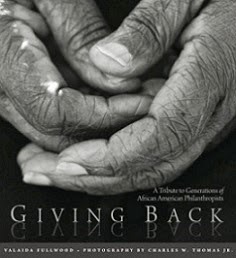 Join me at the Black Philanthropic Alliance's Annual Meeting along with my Charlotte contributor, Valaida Fullwood, who will discuss African American philanthropy and sign copies of her newly released book, Giving Back: A Tribute to Generations of African American Philanthropists. BPA will also present me with their legacy award! RSVP by December 2nd. DC Social Innovation Project to Host "District Innovation: A Showcase of Social Entrepreneurship & Innovation"
The DC Social Innovation Project (DCSIP), founded by Darius Graham, identifies and invests in creative, new ideas that tackle pressing social issues in Washington, DC. Through idea competitions and community solution-building activities, DCSIP seeks to be a breeding ground for initiatives that create a better DC with a better quality of life and more opportunities for all. Join them for their end-of-year fundraiser on November 29, 2011 where they will showcase the organizations and projects supported this year. 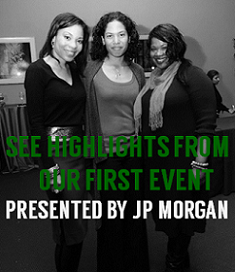 BlackGivesBack readers can receive a 20% discount off the ticket price by using code "BGB." Visit HERE to purchase tickets. Raising Him Alone to Host "Educating Parents On the Role of Mentoring Programs"
In light of the Penn State scandal, Raising Him Alone will host this tele-conference to make sure that parents understand the role of mentoring programs, as well as the screening process of mentors. They state that many parents sign up boys for programs without doing research, checking staff credentials, or visiting a program in advance. Special guests will be Stephen Powell, Executive Director of Mentoring USA and Kenneth Braswell, Executive Director and founder of Mentor Me. Guests will answer: How do parents identify reputable mentoring programs? What should parents look for regarding staff credentials in mentoring programs? What should be the screening process for mentoring? What should parents have learned after the incidents at Penn State? or e-mail, info@raisinghimalone.org. Please submit your questions for the speakers by Sunday, Nov. 20th at the same email address. Have an event in your community you'd like to share? Submit it for our Upcoming Events page by sending an email to blackgivesback[at]gmail.com with 'BGB Events' and the event date in the subject line.